Take a peek at this hot RC hobby by clicking on the video: RC model planes! Just what is an RC plane? An RC model airplane is a small flying aircraft (unmanned of course) which is controlled with a handheld transmitter. The remote controller communicates with a receiver in the plane, directing its flying actions. RC planes used to be hugely expensive, but prices dropped dramatically due to advanced electronics miniaturization. As a result, RC airplanes as a hobby really "took off" in the 2000s. There's now a wide variety of aircraft styles to pick from, for newbie to expert. Yep, remote control airplanes are undoubtedly the hardest remote-control hobby to master. Why is that? It flies in the air, so you cannot rest while flying, (as you could stop all motion immediately with an RC car on the ground). 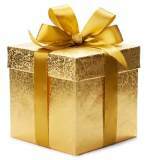 It does not hover like a quadcopter drone; it is constantly moving forward at a high enough speed to keep it aloft. So you must always be vigilant in directing your RC model plane while it is in motion. For this reason, piloting an RC plane requires a bit more study and understanding by beginners, before launching into the wild blue yonder. If the basic principles of aerodynamics (what keeps the plane aloft) is not understood, and basic piloting skills are not learned slowly and correctly, your first RC plane may well end up in the trash can, and your new hobby permanently ended. The easiest way to understand your aircraft and how it flies is the instruction manual that came with it! 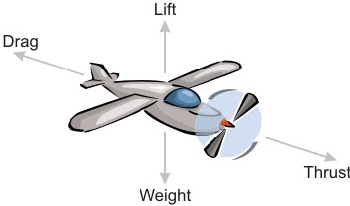 Most manuals cover important factors such as the importance of "center of gravity" and how the controls cause different movements in the plane components, which affect flight. 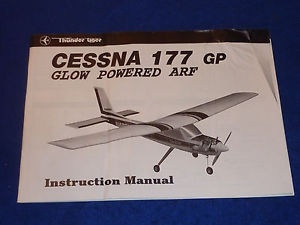 The instruction book should also thoroughly introduce you to your exact model, and how your particular remote controller effects changes in flight. Keep alert for important tips and hints for beginners. Some experts feel that the absolute best way to learn to fly RC planes without risking your expensive aircraft is through flight simulator software. It's a lot of fun, too, kinda like a video game. Even though there's a significant learning curve involved with RC planes, it's a huge sport, which many hobbyists participate in. Racing is very popular. You can join in the fun too! Get all the specs on these cool models via our Amazon affiliate links below. Read up about slot cars here: Remote Control Hobbies. Or what about RC cars or RC boats? Read up on the intriguing hobby of model railroading here. Quadcopter Drones are hot! Visit Drones 101 to get up to speed!